The M-Coupe 800dpi Optical Mouse from Logisys puts the fun back into mousing. 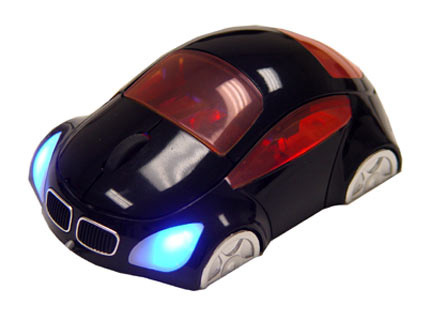 This cool car shaped mouse with functional head and tail lights makes a great gift or conversation piece at any LAN party. The M-Coupe’s sleek contoured design fits comfortably in the palm of your hand, and is a fully featured optical scroll mouse. With 800dpi, a 6 foot cord, and a USB interface, the Logisys M-Coupe Optical Mouse aims to please!